Ruger has been manufacturing weapons for over 60 years. 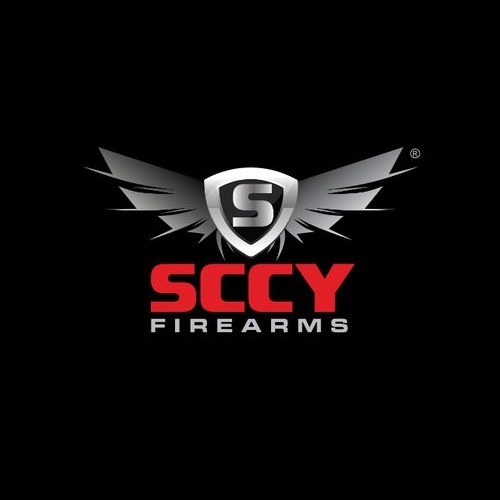 The full name of the company is Sturm, Ruger, and Co., Inc., and it is based in Connecticut. They produce pistols, rifles, shotguns, and revolvers. One of their most celebrated collection of firearms is the SR-series, which has been in production since the middle of the 2000’s. One of the most popular firearms within that series is the SR9, which was also the first SR-series gun to be manufactured (unlike the LC9, LCP, or SR 556). It is a full-size, semi-automatic, 9mm handgun. The SR9 was introduced in 2007 and was an immediate success. People love Ruger’s style and attention to detail, plus the prices are usually pretty decent to boot. Several years later, in 2010, the SR9c was introduced. It is essentially a compact version of the SR9. Those two models share many similarities, like the trigger group, look, and overall feel. The SR9c is lighter, smaller, and has a dual recoil spring as opposed to the SR9’s single spring. The concealed carry weapon (CCW) market is growing every day, with more civilians looking to obtain a CCW license. Many arms manufacturers have stepped up and released subcompact versions of their finest handguns, and Ruger wasn’t about to stay behind. The SR9c is a self-defense weapon which you can carry, and which can also be used as a home defense weapon. Keep on your person, or in your nightstand. 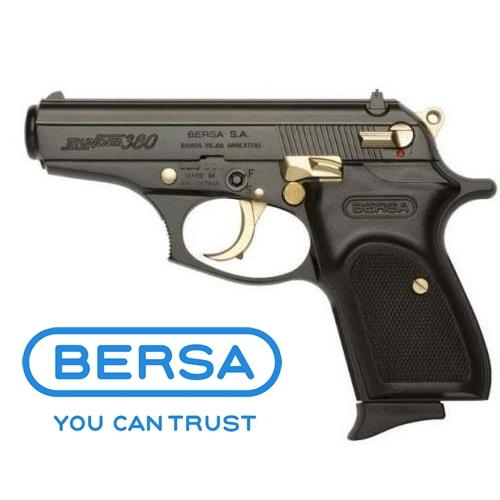 It has the right cartridge, the right kind of firepower, the right kind of safety, and the right price. On the surface, it seems like Ruger certainly have an ace in the hole. Now, let’s take a closer look at the build and technical specifications of this neat little handgun. Magazine: 17 Rounds (Standard), 10 Rounds (Standard, State Compliant). The slide and barrel are stainless or brushed steel (varies by model), and the frame is high-strength polymer. 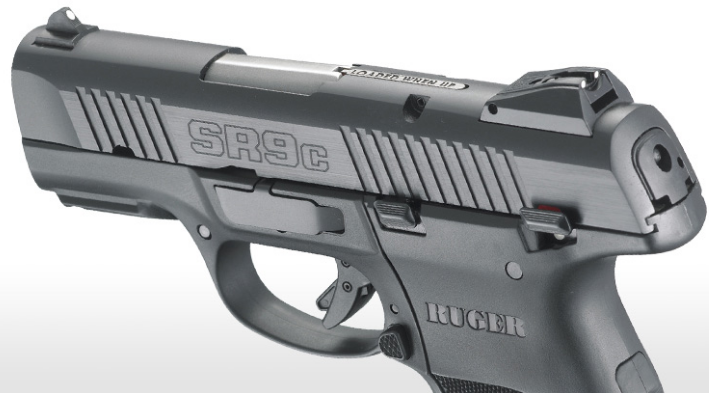 The SR9 was designed at a time when CCW regulations were becoming more accommodating, and Ruger engineered this pistol to fit what they thought many would-be concealed carriers wanted in a handgun. They were right. By the time the SR9c was introduced, many people had already become aware of the SR9’s capabilities, and shooters of all walks of life were excited to see the same kind of thought and design implemented in a subcompact model. The SR9c comes with a finger grip extension right out of the box, for those who want the SR9c’s great-looking specs, but want some extra grip support. It also comes pre-equipped with a Picatinny rail for mounting accessories. The gun has an ambidextrous thumb safety and ambidextrous magazine release, which is always a plus. There is a reversible backstrap, for further customization of the grip. The SR9c also has a chambered round indicator. That last feature is one which I could probably live without, but I suppose it doesn’t hurt to have it there. You should always treat a gun as if it is loaded. That’s basic firearm safety. Its three dot sight system is pretty standard. The rear sights are adjustable. As is usual with a three dot sight, consider marking the front sight a different color than the rear sights. This will provide quicker target acquisition. Red is popular, and it contrasts nicely with the white of the rear sights. Just a thought. The SR9c uses a 1911 style safety. For those of you with larger hands, this could be a slight issue, at least at first. Why? Because some shooters want the ability to switch the safety off with their thumb, and if you have larger hands it could take some time to get used to. On the other hand – quite literally – you could use your off hand to switch off the safety, and then you have no problem. Whatever is most convenient for you. Either way, keep your stance and keep your focus. The trigger has its own little safety, which prevents it from being pressed unintentionally. Overall, the look of the frame and trigger are very reminiscent of a Glock, and the SR9c gets compared to Glock quite often (more on that later). So – it looks good, it feels good, but how does it shoot? Shooting the SR9c is fun. It handles very nicely, it is on target and has very little recoil. It provides you with the power of a 9mm round, with a relatively subtle punch. Follow-up shots are not a problem. There is some muzzle climb, but it is manageable. With practice, you will find grouping (at a reasonable distance) to be fairly easy, without the use of any optics or other devices. Obviously, it is shootable right out of the box, like many others in its class. Point and shoot. That is part of the allure and major advantage of these types of guns – simplicity. 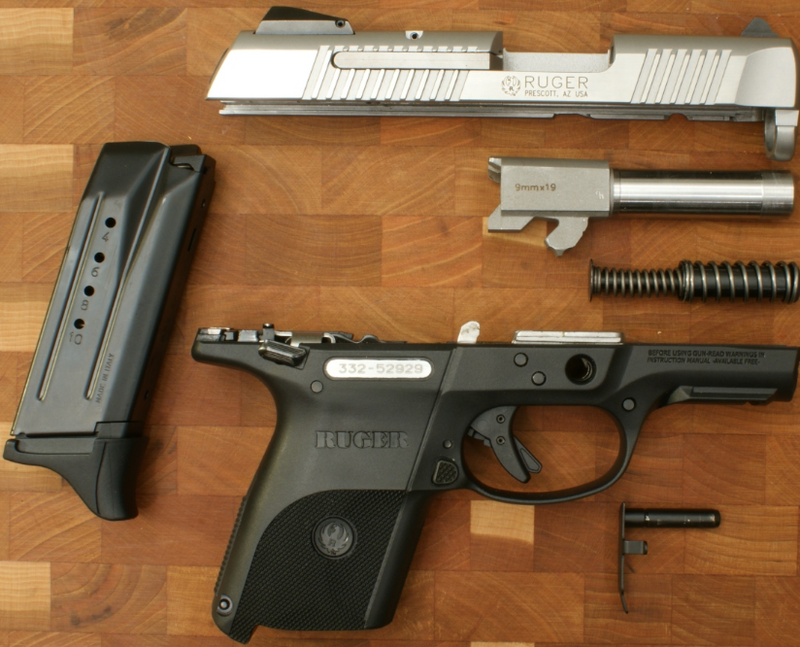 If you can pull a trigger, you can operate the Ruger SR9c. And if you are talking about getting better, target practice, and so on – it is about getting the feel of the gun. Even after slinging brass down the range for a while – with pauses to reload, of course – my hand didn’t get too tired. It has a nice smooth action. Stripping and assembling the SR9c is quick and easy. Pull back the slide, remove the frame pin, and take off the slide. The dual recoil spring comes right out, as does the barrel, and bam! your SR9c is now ready to be cleaned or otherwise serviced. Reassembly is just as simple. This stripping and assembly process is similar to many other guns, and there is nothing too special or unusual about the SR9c’s breakdown. As mentioned, the stock sights provided with the SR9c are standard three dot formation. They are neither here nor there. Good for daytime shooting, not too good for nighttime shooting, and that is pretty much it. For this reason, many opt for aftermarket sights (which we will discuss in the ‘accessories’ part of this review). But remember: for civilian encounters, which usually occur at close distances, the gun acts as a straight-up point-and-shoot firearm before anything else. If you find yourself in an emergency situation, your instincts will kick into gear. Much like the gun you are carrying, the actions you perform will be semi-automatic. Magazines for this pistol vary, with some states regulating the use of higher-capacity magazines. Essentially, the SR9c will accept full-size SR9 magazines. Aftermarket magazines are also available, and these can bring your round count up to 30 + 1. Not too concealable, but it can be done. Let’s face it, though. For a civilian to need a 30-round magazine in a subcompact – well, let’s just say it has to be a pretty tough situation. Most civilian encounters occur in short to mid-range, and certainly don’t require the use of a 30-round magazine. While high-capacity magazines may be the standard with sporting rifles (such as the AR-15 platform), it is not the case with handguns meant for concealed carry and self-defense. The SR9c is still being produced today, and purchasing one is easy. Ruger’s website has a “find a retailer” button. Clicking it and inputting your zip code will generate a list of results next to the zip code’s location. Choose whatever shop you want. There is also the popular option of trade shows and conventions, where the prices can vary greatly. Whether it is online or offline, the MSRP of $569 should not be the price you pay. Anything around the $400 mark is a good deal. Cloak Tuck 3.0, by Alien Gear Holsters: An inside-the-waistband concealment holster. Comfortable, durable, has a sturdy steel core, and is warrantied for life. 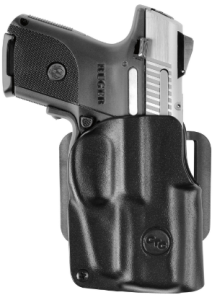 Retention and flexibility are this holster’s two strong points, and it is constructed from steel as well as textured polymer, for improved retention and a quicker draw. Hip Holster, by Federal Holsterworks: As the title states, it is a hip holster. Made to fit an SR9c with an underbarrel laser. It features three-layer nylon construction, a magazine pouch, and a reinforced thumb break. Also has a clip on / belt loop option. It is a rugged, ambidextrous holster which molds itself to the shape of your SR9c, and provides extra comfort. TacLoc C Series, by Viridian: Built specifically with those who are carrying an SR9c with a Viridian laser, this holster has a belt loop and paddle. It is made of Kydex, and it provides great tension and security. When you draw, your Viridian laser turns on immediately. For right-handed shooters. Ideally, you should practice drawing from your concealed position. It is about getting the upper hand quickly, and in a gunfight – in any fight, really – having that edge is important. A civilian gunfight is usually over in seconds. Having the right kind of holster can make the difference between drawing first and being shot at first. Grip Aids: Sleeves, extensions, and other devices to help your grip become tighter and more reliable. In a high-pressure or emergency situation, your hands could be sweating or trembling, there could even be blood on them. The point I am trying to make is that the conditions may not be perfect, so you need to anticipate that and prepare accordingly. Talon grips are a popular option, and there is also Pachmayr and Galloway Precision. Optics: Sights, lasers, flashlights, etc. Do optics help? Yes sir, they most definitely do, though some are more practical than others. 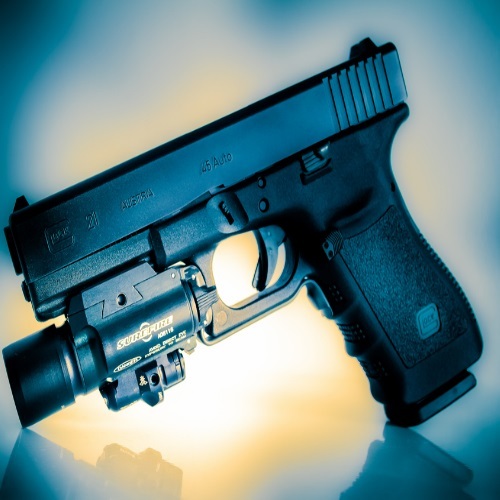 In the case of the SR9c, tritium night sights (Meprolight, Trijicon, Tru-GLO) are a great option. The others? Not so much, as far as I am concerned. 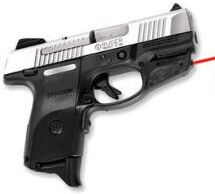 Crimson Trace has a great fitting laser, as does LaserMax. They work great for long distance accuracy, but good luck trying to locate that dot when a knife-wielding assailant is closing a distance of 7 yards, fast. There are exceptions to every rule, but many times it is a point-and-shoot kind of deal. Magazines: Looking for greater firepower? You’ll find it. As mentioned earlier, this will most likely compromise the SR9c’s concealability. Higher-capacity aftermarket mags for the SR9 exist, and those will usually fit the SR9c perfectly. The SR9c and the Baby Glock fall under the same category of slim or subcompact handguns. 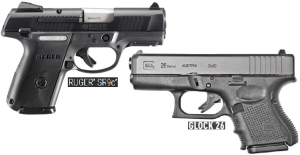 Both are ideal for CCW license holders and are roughly the same size. Here is a quick side-by-side. As you can tell from the basic technical specifications, these two models are similar in many ways. Same action, same caliber, near identical sizes, and both are a steel/polymer build. The prices vary a bit, and the Glock 26 has a couple of generations to choose from (Gen 3, Gen 4), but overall the price is also pretty close. Remember, these are MSRP prices, and do not necessarily reflect the street cost of the firearm. Both companies have proven themselves in competition, in battle, and on the range. Both of them are well-known and respected throughout the carrying/ shooting/hunting/plinking communities. Both of these models are carried by law-enforcement and military personnel as backup guns, with the Glock 26 probably being used more. I could be wrong. The Glock 26 has greater capabilities for capacity. It can be fitted with Glock 19 and Glock 17 magazines, meaning that this thing’s firepower can reach the 33-round mark, and even further. Fitting a 50- or 100-round drum would render the G26 completely useless for the purpose of concealment, but will give you some fun times at the range, boy. The SR9c is a great little pocket gun. It doesn’t differ that much from other weapons in its size and weight class, but it does have attributes which make it unique, like the loaded chamber indicator and 1911-like safety. The price is highly affordable, and if you are looking for a small, concealable, 9mm semi-automatic, this is definitely one you should pick up. Looking for more on great guns? How about the FN Fal or the Ruger Mini 14? Read all about them here at Gunivore!